The comfort, safety, and satisfaction of our patients is of paramount importance. We take pride in offering an extensive range of procedures (many with minimal incisions), to refine and restore beauty and vitality to your breasts, body, face, and skin. Our staff is friendly, compassionate, and extremely knowledgeable, always happy to answer your questions and make you feel welcome. 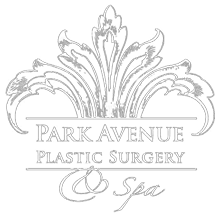 When you factor in our clinical aesthetician and the spa services offered, the superior choice for professional care and exceptional results for cosmetic plastic surgery becomes clear.